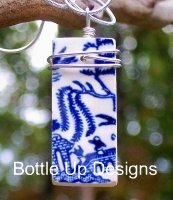 Fun, creative and unique, recycled jewelry knows no limits in design or materials. It’s a special kind of design that uses materials that are no longer wanted or destined for the trash and reworks them into something beautiful and often playful. It has an appeal to those interested in being eco friendly but it is also for anyone who appreciates stylish, unusual and fun fashion. No where else will you find such an eclectic mix of materials. It’s fascinating to see what is being used and what will be used next. Many styles of recycled jewelry are made from trash like bicycle chains, aluminum cans or pop tops, glass, paper, bottle caps or computer parts. It also includes jewelry designs from vintage or old jewelry and jewelry designed from reclaimed gold, silver or other metals . For someone who enjoys jewelry, shopping for recycled jewelry is fun that serves a purpose too. 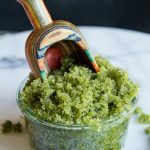 You can be a part of recycling at it’s most creative and while the smaller amounts being recycled for jewelry make not make a big impact it does lessen the load somewhat and it may also encourage you to see things typically thrown away in a new light. More than anything else recycled jewelry is an expression of many desires, the desire to conserve, the desire to find new uses for old or discarded items and the desire to explore creative designs with unlikely materials. While the ultimate goal is to help the environment there is no doubt that it is just as important to create something fun, creative and beautiful. Regular jewelry seems boring in comparison. Most recycled jewelry is handcrafted. The materials have a history. The designs have a meaning. It is jewelry worn by those who like the unique and who find it appealing that their purchase does a little good. Below you will find just some of the different styles available. I’m sure someone is working on something right now that you would never think could be made into jewelry. An interesting collection made from reclaimed and surplus industrial waste. 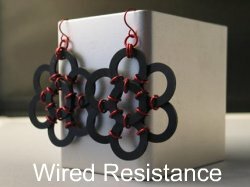 You will find jewelry here made from alternator or steel wire, rubber washers, springs, resistors and so many other materials. The designs are varied and unique and well worth checking out. 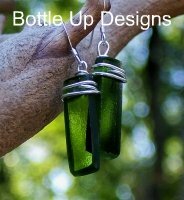 Recycled jewelry made from antique glass or glass discovered in glass dumps throughout wooded areas of the northeast. Each piece is provided with a little history explaining what the glass was originally and approximate age. The cuts and designs I find to be simple, clean and elegant. 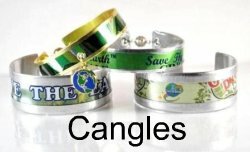 Bracelets, cuffs, earrings, necklaces and more made from aluminum cans. This jewelry is fun and colorful with styles that include single or woven bands of aluminum used in their bracelets and cuffs to the more intricately cut pieces of aluminum found in earrings and necklaces. See if you can spot the recognizable logos and designs on aluminum cans from Arizona Tea, Coca Cola or 7 Up within their jewelry designs. What about the pop tops from the aluminum cans? Here they are put to beautiful use. Wrapped with wire and highlighted with stones and beads, these lightweight pieces are eye catching and unique. Designs include both pendant and earring collections. This designer recycles t-shirts and other clothing into beautifully designed and colorful necklaces. Many of her designs, like the one below, she calls African style. They are vibrant and colorful and turn discarded fabric into something very cool. 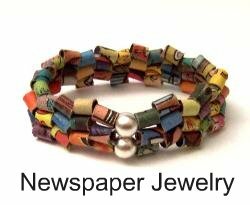 Newspaper, sweetener packets, loser lottery tickets, stock listings and more are used to create this interesting jewelry. It is fun to see what someone can do with little rolled up sections of paper. The designs run from very stylish to just plain fun. Recycled and re-made gold, silver, titanium and gems are used in this stylish recycled jewelry. 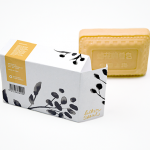 Something for all needs from weddings, engagements and other special occasions to the everyday. 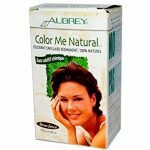 Choose from ready made designs or have one custom made. 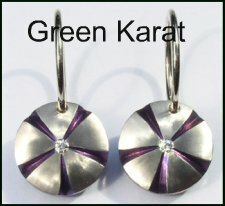 A unique service on this site is being able to recycle your old gold or silver and put it to good use in a new design or donate it to help the environment.